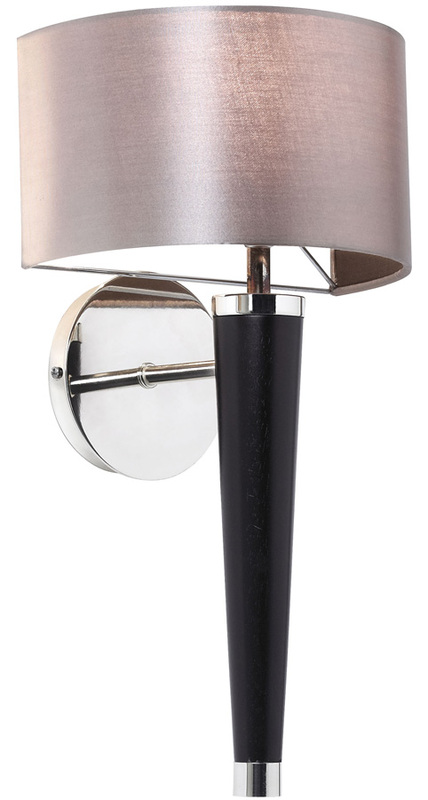 The Corvina walnut coloured wood and silver plated wall light from the Envisage premium lighting range. Lovely walnut coloured wood stem with a silver plated circular wall mount and a chocolate lined mink coloured faux silk half-round lamp shade. A lovely traditional design wall light.